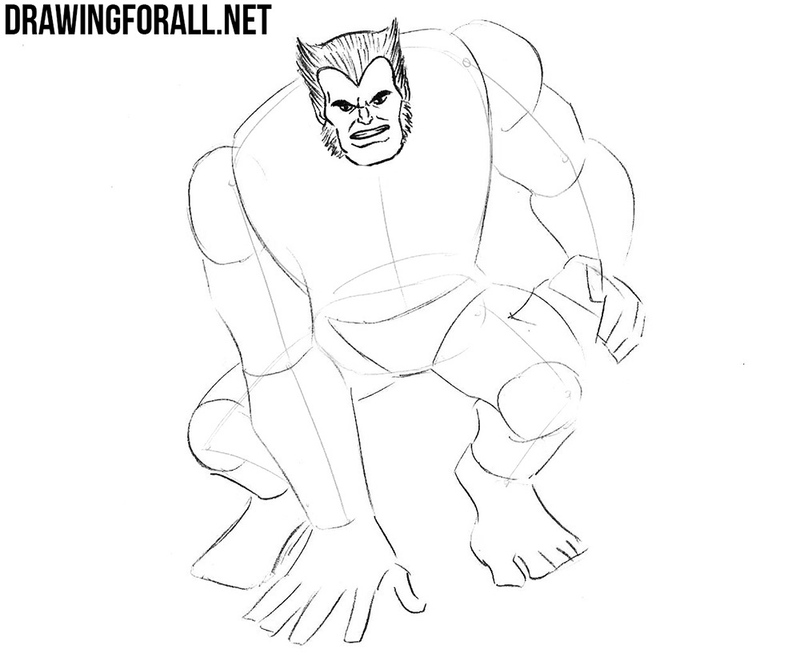 Hello dear artists comic book lovers, today we will show you how to draw Beast from X-Men. Beast, real name – Henry Philip Hank McCoy – comic book character from Marvel Comics, a member of the team of superheroes-mutans X-Men. 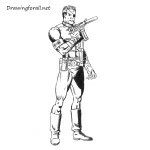 He was created by writer Stan Lee and artist Jack Kirby and first appeared In the issue of X-Men No. 1 in September 1963. First of all, we as always we draw the skeleton of our character. But unlike the skeleton of an ordinary man, the skeleton of Beast must be wider. So, draw the head in the form of an oval. Next, draw the spine, chest and pelvis. 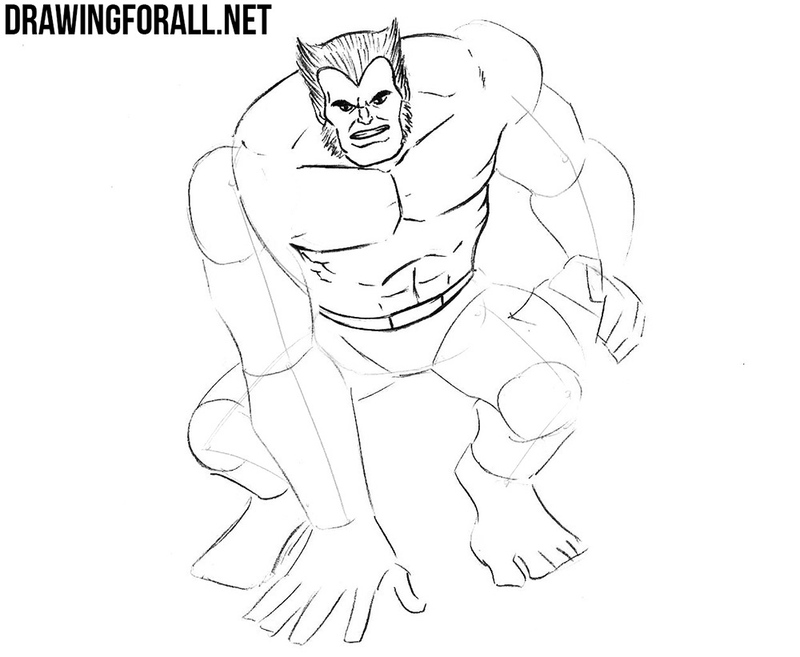 Note that all the lines from the first steps should be very light. Let’s add some volume, but first add lines of the facial symmetry. The horizontal line will help us to draw the eyes and the vertical line will help us to find the center of the face. Next draw the outlines of the torso that narrows to the waist. Let’s move to the limbs. 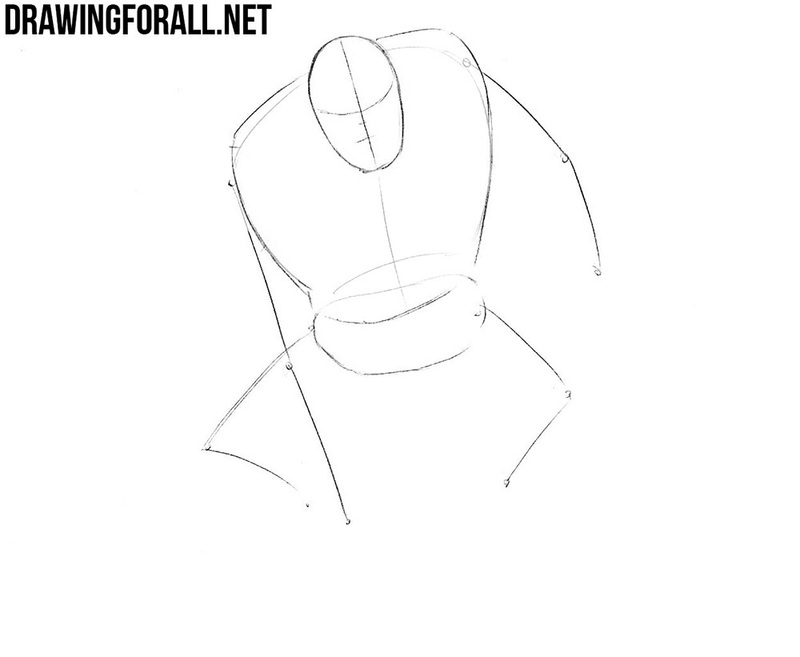 Sketch out the shoulders in the form of large circles. Next we draw the arms with the help of modified cylinders. Then outline the hands, consisting of the palms and fingers. 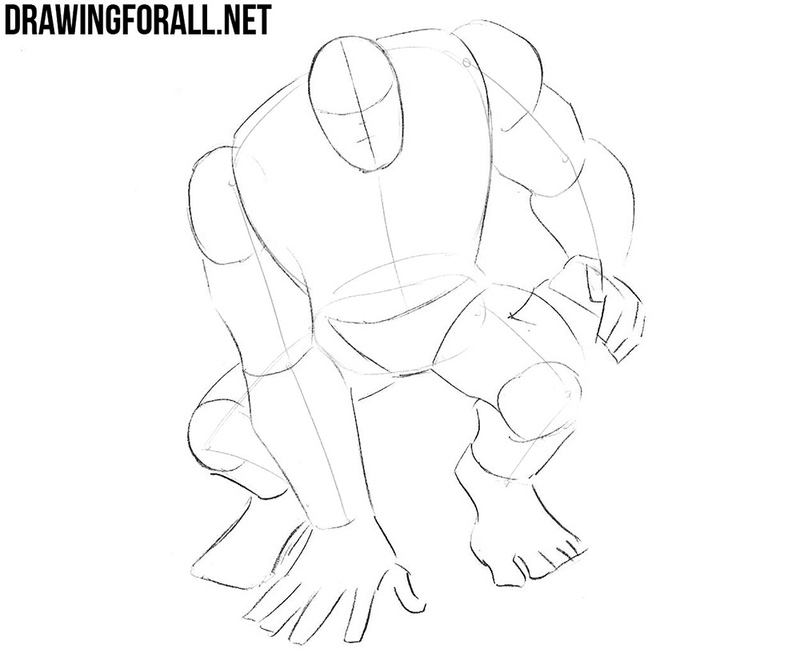 Outline the legs, knees in the form of circles and feet. On the horizontal line from the second step we draw the eyes with frowning eyebrows above the eyes. Draw wrinkles between the eyebrows and under the eyes. Next draw the nose on a vertical line and a mouth with clenched teeth. 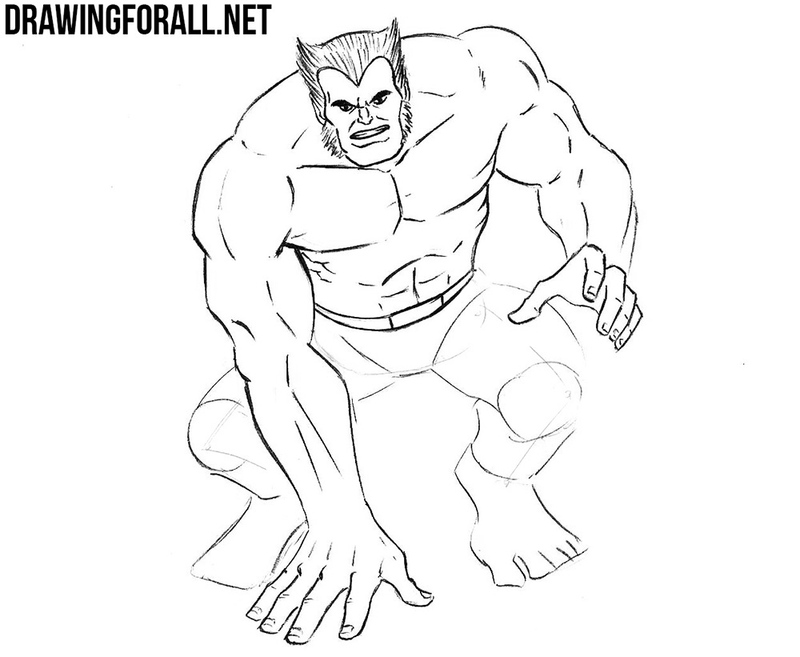 Here we finish drawing the head of Beast. First we draw out cheekbones and wide chin. Next draw the famous hairstyle and side whiskers, which are very similar to Wolverine’s hairstyle. Draw the ears and go to the next step. Now let’s move on to the torso of our Beast. First we draw large trapezoid muscles. Then draw the wide pectoral muscles and the abdominals. Erase all unnecessary lines from the torso and go to the next step. Let’s draw the arms of Beast. Start with the shoulders, drawing them big and round. Then move lower and draw the biceps, triceps and forearms. At the end of the step draw big hands. Using the same method draw out the legs. 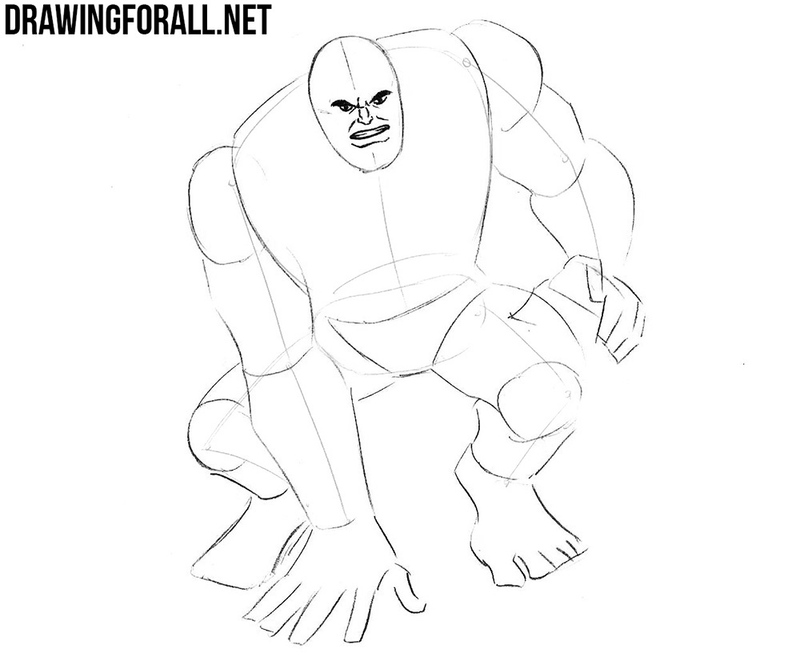 Carefully draw all the muscles, knees and feet. Note that the feet of Beast can be either human or similar to monkey feet. 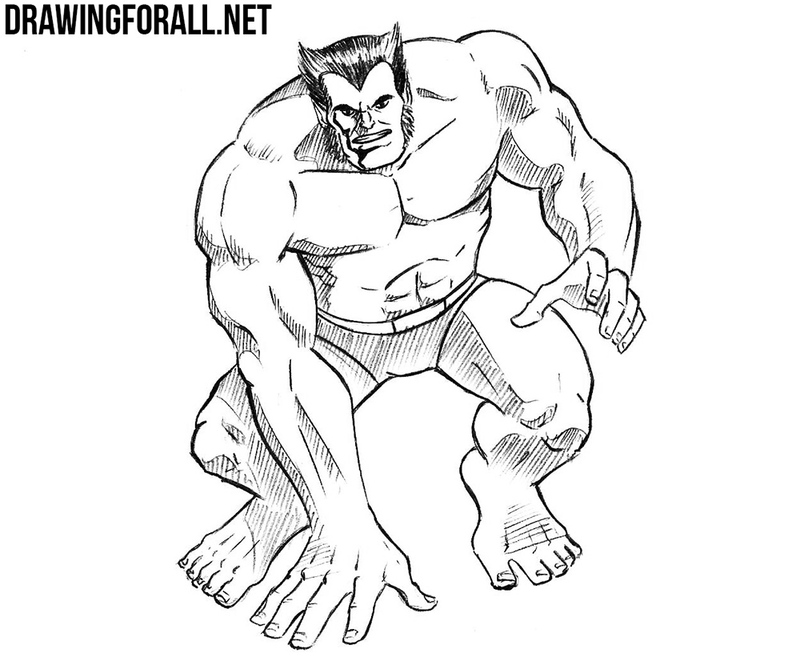 Draw the shorts and go to the last step of the lesson about how to draw Beast from X-Men. Paint the hair using short strokes and leave a strip of highlight. Now let’s add shadows. First draw the contours of the shadows, as shown in our example. 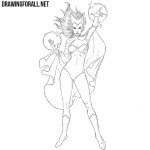 Then paint these outlines with shading or dense black color (for example as in tutorials about Spider-Man or Iron Man). If you liked this drawing lesson, then do not forget to share it with your friends and subscribe to us on social networks. 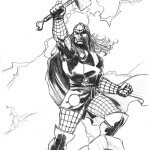 Also do not forget that we have a whole category about comics, where you will find many interesting tutorials.